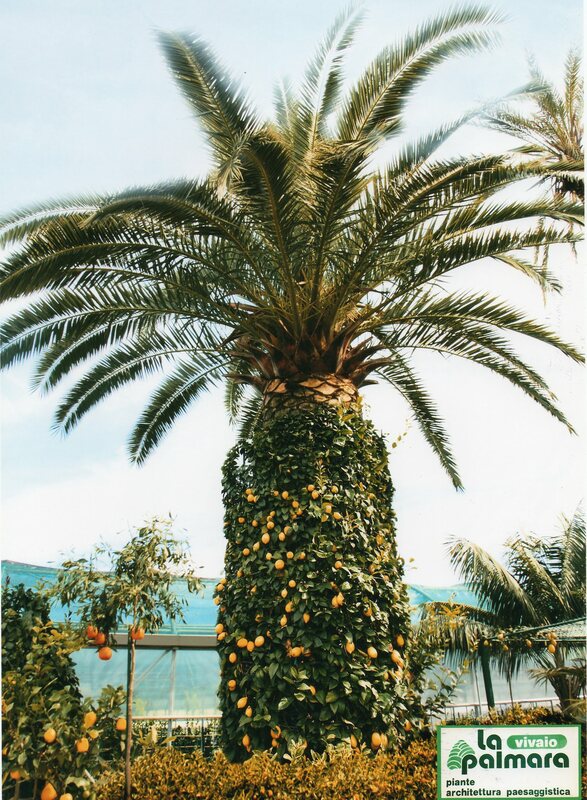 The “Palmara” nursery was founded in 1975 and was the first company in Sicily to produce ornamental citrus fruit trees. The company belongs to three partner-friends, who share a strong passion for tradition and plants Carmelo Scilipoti, Salvuccio Materia e Andrea Maio. Today the Palmara nursery spreads over a surface of 20 hectares between the towns of Terme Vigliatore and Furnari and 80% of production is exported to Europe. Passion for this work and the experience acquired have enabled la Palmara to have one of the richest collections on the market. Part of the nursery offers historical Italian varieties, including hybrids, with varieties from all over the world and some exclusive hybrids, in fact many collectors and many botanic experts buy from the Palmara nursery. The company regularly collaborates with the Experimental Institute of Acireale and with the Regional Observatory of plant diseases for research and screening. Several specialized magazines (Gardenia) and television programmes (Linea Verde and Uno Mattina) have presented our products over the years. Our commercial staff is made up of motivated, dynamic and skilled people who have initially worked in nurseries and consequently improved their knowledge of plants by spending time in the countries where they were sent to work, thus studying the needs of these markets. So those who wish to visit our nurseries, by previously arranging an appointment, will always find one of our staff who speaks their language and who will take them on a guided tour.